The year preceding election year used to be a low ebb for the Green Party, in the past we used to receive our lowest support in the polls and our branches had little to focus on. 2013 broke that pattern. Green support in the polls has remained solidly around 12% and occasionally reaching 14% and we have experienced smaller fluctuations than Labour and National. Membership has been steadily growing and we currently have the highest level of paid membership in the Party's history. Two things have ensured our Party's higher profile and success, our capable MPs and some high profile campaigns. Having 14 MPs has meant a greater level of parliamentary resourcing, which in turn has allowed our MPs to cover a larger number of issues effectively in the house. Our new MPs have gained useful experience and confidence over the last two years and this has been evident in their performances in the House and as they travel around the country. 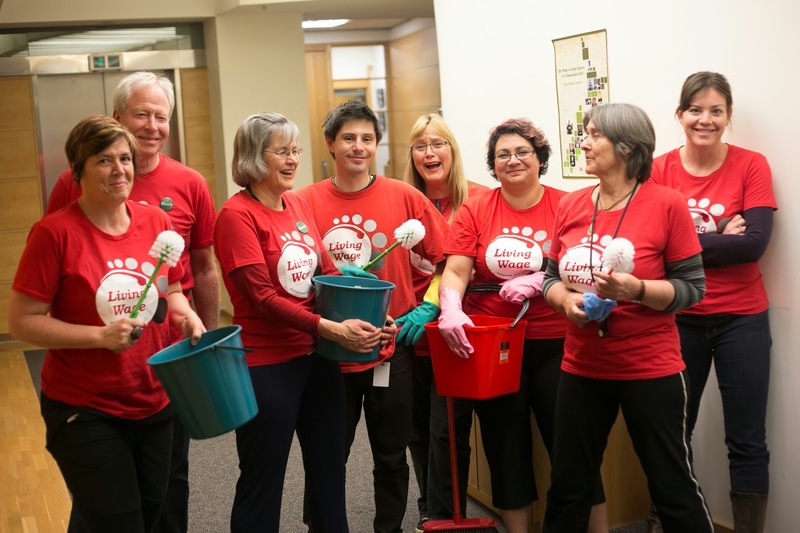 With a combined experience of twelve years our leadership team of Metiria and Russel are solid performers and this has been an asset to us when Labour was going through leadership changes. 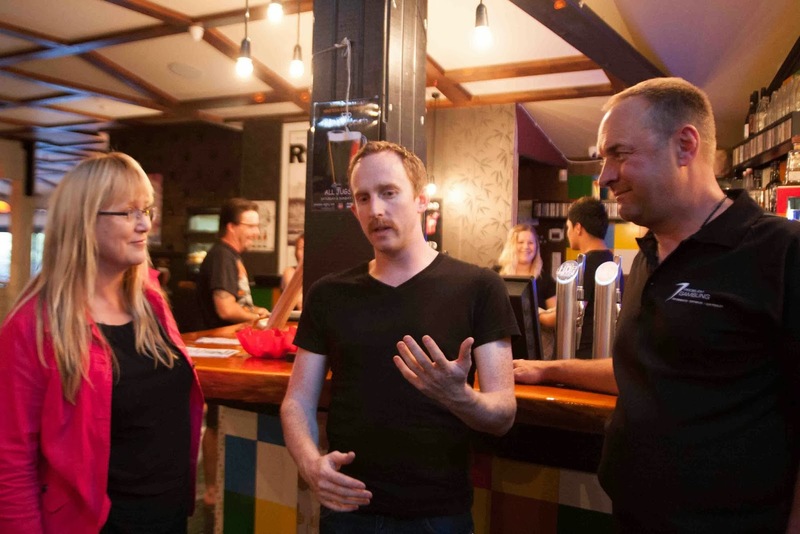 Russel was even called the real leader of the opposition by some commentators and Metiria's assured performances have impressed. The CIR campaign kept the Green membership active for most of the year. 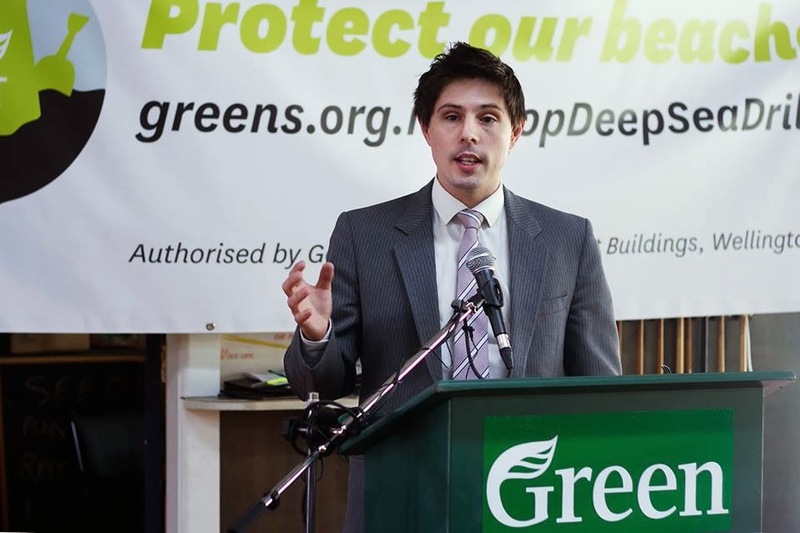 The Green Party has demonstrated that it has the organising strength of a major party when the bulk of the petition signatures were collected by members and supporters. While the opposition criticized the Party for paying coordinators this was actually just smart use of resources for an important campaign and the total cost was a fraction of the taxpayer funds used to promote the asset sales. 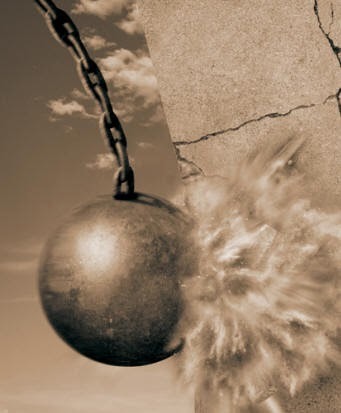 The Green Party's ability to organise will be a major asset in 2014. 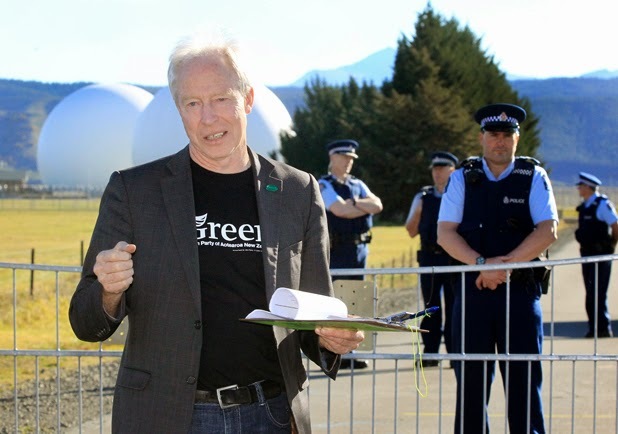 Steffan Browning's many years protesting about the Waihopai spy base has shown to have substance after whistle blower Edward Snowden's revelations. 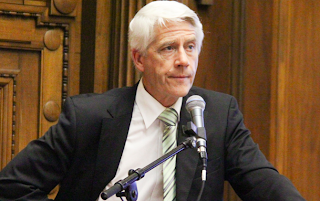 He has been prominent in criticising the GCSB bill and exposing New Zealand's involvement in the Five Eyes intelligence network. Steffan has also been active in voicing concerns about the Government's weakening of GE management and biosecurity measures. 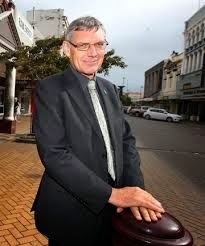 David Clendon has been busy traveling the country in support of small and medium sized enterprises (SMEs). His business background and knowledge of sustainable business practice is a valuable asset to the party and he has highlighted the Government's lack of support for SMEs. While many were shocked about New Zealand's drastic fall in the PISA education rankings, David has highlighted a similar drop in our University Rankings. Catherine Delahunty has been extremely busy fighting a number of mining battles around the country. 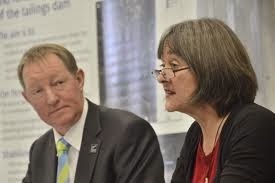 Saving the Denniston Plateau from open cast coal mining has been a major focus for the year but it is it is actually one of many mining issues that she is actively involved with. Catherine's 'Black Drain' bill is receiving a second reading and has highlighted the fact that the Green Party is the only credible environmental party. Catherine continues to be active in the education portfolio and has hosted forums on the Health and Disability Act that discriminates against family caregivers. Kennedy Graham has been rationally and articulately challenging the Government on its refusal to take climate change seriously. He has also been touring the country to explain how an economic transformation could save the planet. 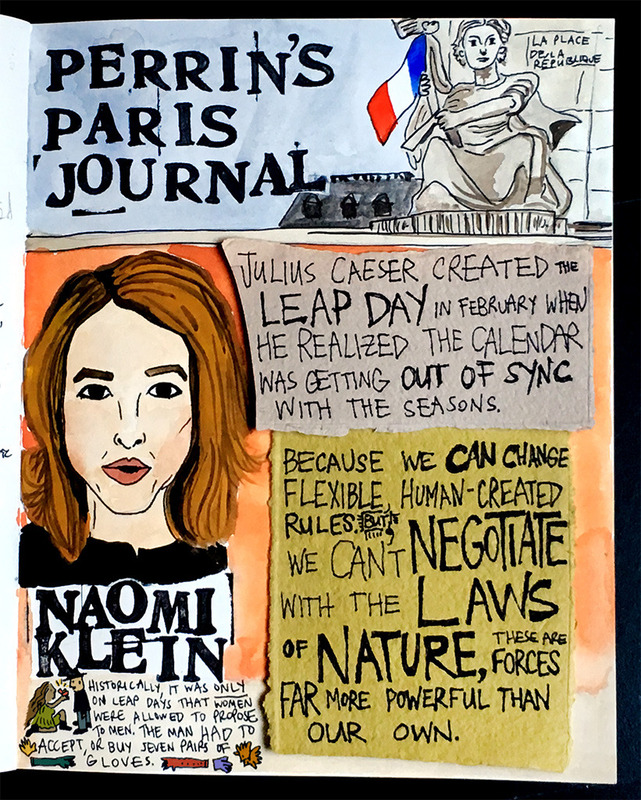 Kennedy has recently attended the UN's climate change conference in Warsaw and will later be visiting European countries who are currently leading the world in climate change policy. It is difficult to find more than one Government Minister here who even believes Climate change is an issue so Kennedy has a lot of work ahead of him. 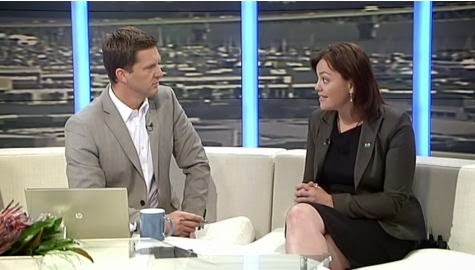 Julie Anne Genter has impressed with her ability to outflank Ministers in the House with her grasp of economics and her in-depth understanding of transport. 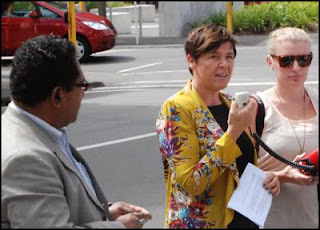 She continues to strongly advocate for sensible transport solutions for Auckland and has exposed the shonky economics behind the construction of the Transmission Gully project. Kevin Hague has been highlighting the Government's dismantling of services aimed at preventing ill health and voicing strong concerns about the impact of obesity in peoples lives and the demands it places on our health services. As the ex CEO of West Coast Health Kevin has a good understanding of the issues and the impacts and what the Health Minister is turning a blind eye to. Kevin's prominence in the anti-apartheid movement saw his name suggested as more deserving than others in Key's delegation. Gareth Hughes continues to be an effective thorn in the side of those promoting deep sea oil drilling and fracking. Gareth has exposed the poor protection and processes in place that would protect us both economically and environmentally should a major oil leak occur. It has taken some strong questioning and solid investigation and research to expose the fact that the Government's enthusiasm for oil has clouded their objectivity. Gareth's questioning of fracking waste being spread on farmland has caused the activity to be stopped. Jan Logie has been a strong advocate for the marginalized and oppressed in our society. She has forced a change of approach in how prisons manage transgender inmates and brought greater attention to bear on the need for properly funding sexual abuse support services. Jan also received media attention for having her passport confiscated in Sri Lanka because she was exposing the human rights abuses in the country. Mojo Mathers has had a leading role in animal rights campaigns and advocating for those with disabilities. She recently launched her Action for Animals campaign and has a private members bill adddressing the use of animals for testing legal highs. Mojo has also been helping lead the support of a petition to ensure that the Christchurch developments make accessibility a priority. Russel Norman's high rating by political commentators has been a reward for consistently strong performances in the House and his ability to bring media attention to important issues and hold the Government to account. He has been able to expose the costs involved in the Government's asset sales and his speech in response to the storm in the Philippines was seen as opportunist by some but actually had the support of Philippine people. Russel has been prominent in challenging the Government on a range of issues from the GCSB to the Tukituki Catchment Proposal. Denise Roche led an evening to 'clean up the house' by encouraging MPs from all parties to help the Parliamentary cleaners to do their work. Not only did it highlight the hard work done on MPs behalf but it also exposed the low wages that cleaners earn, well beneath the living wage. Denise is committed to fighting the shocking amendments to the Employment Relations Act and challenging the SkyCity gambling deal. Denise can also communicate well through song. 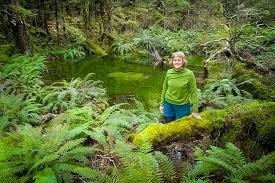 Eugenie Sage has been leading the campaign "Stand up for the Environment protect our Law" which hopes to shift the Government away from the planned changes to the RMA which will make the purpose of the act one that enables development despite the environment. Eugenie is also working with others to expose the economic and environmental costs of the massive Ruataniwha irrigation scheme. Her support of the Save Fiordland Campaign helped stop the crazy tunnel proposal but the monorail development is still alive. Metiria Turei became the Green spokesperson for Education again and has strongly challenged the many ideological changes being forced on the sector by this Government. Whether it be Charter Schools, or the Christchurch school closures, Metiria has had the Education Minister on the back foot and struggling to give convincing answers. 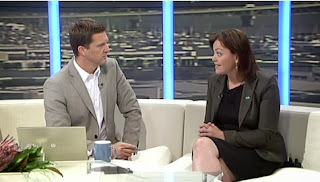 She is also possibly the only Green MP to be ejected from the House, her crime was related to using the word sleazy in reference to the SkyCity deal. 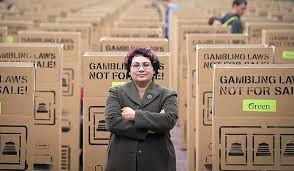 Metiria has been particularly effective at exposing the shoddy process that allows the change in our gambling laws in exchange for a convention centre. Holly Walker has been very effective in challenging the Minister for Social Development regarding her refusal to have official measures of poverty or set targets to reduce it. 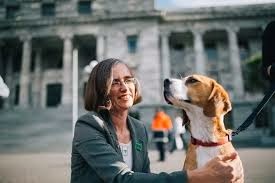 She has also worked very hard in opposing housing bills that will actually reduce the numbers of good houses available to those that need them and make life more difficult for Housing New Zealand tenants. 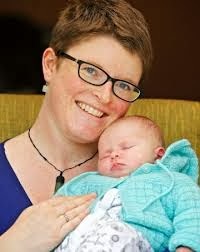 Holly has recently given birth to her first child but came back to the house on the last sitting day to deliver this inspiring speech that sums up for many of us why we are involved with the Green Party. 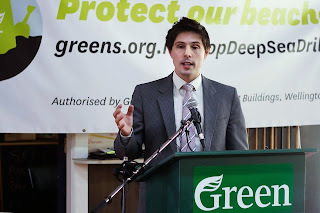 Few political commentators or journalists have picked up on the fact that Green Party MPs are amongst the hardest working and most informed in Parliament. 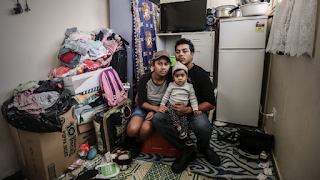 The issues of the moment are actually green issues and whether it be housing shortages, child poverty, compromised rivers, climate change, a lack of sustainable jobs, human rights or an economy that serves only the already wealthy. 2013 tested the resolve and capability of our MPs and our Party and in all cases we have risen to the challenge and have proved, to those who actually take an interest, that we have what it takes to lead New Zealand to a better place. 2014 will be the year when people can vote for hope or more of the same. They have to be 'blokey' and 'carefree', bouncing from cloud to cloud. Look at the images, Robert, Denise and Russel are pictured doing the blokey carefree thing ;-) Politics is a serious business but I think the Greens are also able to have a chuckle along the way as well.